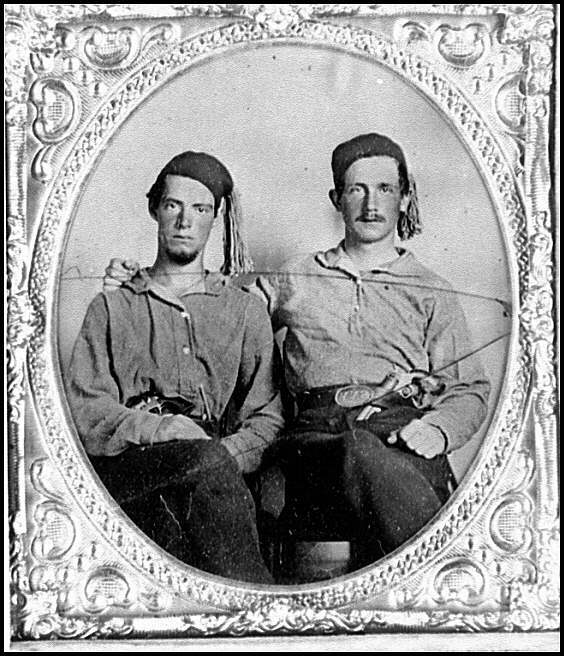 The full-sized photo is at the Library of Congress Online, and is part of their Civil War Photograph collection. It is a copy photo made by the Library of Congress in 1961 from a tintype*. The original tintype was owned/loaned by a Mr. G.K. Holmes, Cornwall Bridge, Conn.
CREATED/PUBLISHED between 1860 and 1865, re-photographed 1961.